A man who wanted a trimmer midsection wound up with serious internal injuries. But how? It was late winter, and the patient traveled to the Jersey Shore to recuperate after outpatient cosmetic surgery — abdominal liposuction — at a metropolitan hospital. He was seriously ill the following day and was admitted to a local hospital. The diagnosis was septic shock with an intra-abdominal-wall infection and disseminated intravascular coagulation (DIC), a life-threatening blood clotting condition. Emergency surgery revealed that he had sustained more than half a dozen punctures in his abdominal wall and in segments of his underlying bowel and colon. Serious complications from the infection and the DIC required extensive medical treatment and more operations. He had a complicated recovery with considerable scarring and some permanent disabilities. The cosmetic procedure used fat-dissolving, ultrasonic liposuction equipment and other surgical instruments. The ultrasonic liposuction unit and probes, available since 1997, had been used successfully at the hospital for at least a year before this. Other surgeons also used them on the day of this patient's surgery and on subsequent days without problems. Most of the punctures of the patient's abdominal wall and intestines were 2 millimeters in diameter — about the width of the lead in a standard wood pencil — with a few measuring almost 4 millimeters. Yet the ultrasonic probe was 5 millimeters in diameter — considerably larger than the punctures — and had a rather blunt, concave end. The medical professionals initially considered that ultrasonic energy emitted by the probe had made the holes. 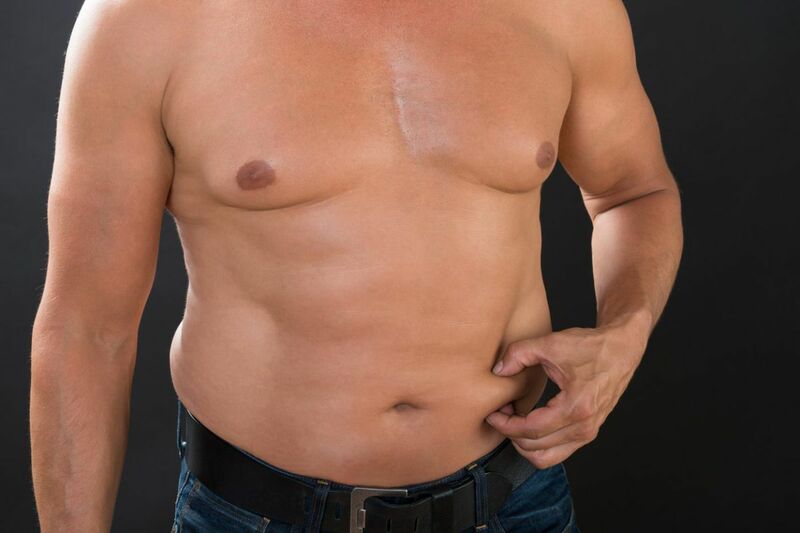 In ultrasonic liposuction, surgeons first inject fluid into the fat deposits to help transmit the probe’s ultrasonic energy into the fat, breaking it down so it can be easily suctioned out. Nearby muscular tissue is tougher than fat, and more resistant to damage from this energy. The issue facing our investigation was whether — and if so, how — an ultrasonic liposuction system and its probes caused those perforations, despite the size of the holes and the muscular tissue they appeared in. And if the ultrasonic probe did not cause the injuries, then what did? Thermal injury (burns from the heat of the liposuction probes). This was ruled out based on the pathology report, which did not show tissue changes from burns (desiccation, protein disruption, and coagulation necrosis from localized blood flow stoppage. Ultrasonic energy. Assuming that the abdominal wall was perforated by ultrasonic energy from the fat dissolving probe, could energy from the 5 mm diameter probe cause 2 mm perforations in the intestinal tissues on the other side of the abdominal wall? Hypothetically, yes. But there was no sign of a 5 millimeter abdominal wall injury or related necrosis one would expect from such punctures, so we concluded that there was no evidence that the intestinal punctures were caused by ultrasonic energy. Blunt trauma. It's very rare to see these kinds of perforations even in suction-assisted lipoplasty, which uses non-ultrasonic probes and requires more vigorous application by the surgeon. So one would expect they would also be rare in ultrasonic lipoplasty. In fact, we searched medical and FDA data bases for such perforations and found that none had ever been reported. However, during the liposuction procedure, the surgeon had reported that the machine's "fault light" had activated several times. That alarm can occur for a variety of reasons, including applying excessive force to the probe. However, if the fault light activates, the system also audibly alarms and deactivates the ultrasonic — minimizing the possibility of ultrasonic energy having caused the injuries. No one else in the operating room recalled seeing that light or hearing an alarm. Nonetheless, based on the surgeon's comments about it, and just in case there was a device problem, the ultrasonic suction probe was changed twice during the procedure before its completion. We concluded that the pushing force required to penetrate the abdomen with a blunt ultrasonic probe would have been far too great for this to be the likely cause of the patient's injury. Ultimately, we felt confident in eliminating the ultrasonic equipment as the culprit. Next, we considered the long needles — called tumescence cannulas — used for injecting the fluid into the fat at the beginning of the procedure. These needles are typically 2.8, 2.1 or 1.7 millimeters in diameter. We did not know the specific needle size used in this case. However, the injuries to both the abdominal wall and intestinal tissues were consistent in size with punctures caused by any of them. Our patient safety recommendations focused on giving greater attention to the careful use of the needles during liposuction surgery. We also suggested the use of blunt-tipped needles to prevent future injuries. Mark E. Bruley, CCE, is a biomedical engineer and vice president for accident and forensic investigation at ECRI Institute in Plymouth Meeting, a nonprofit research agency that studies medical devices, drugs, procedures and processes to determine which are best and safest.